To honour the most desired gemstone in the world – The Diamond and being the birthstone of April. Cerrone are exclusively offering unprecedented access to a large range of supreme quality white diamonds, as well as beautiful Australian pink and yellow diamonds. During the month of April only, couples are invited by appointment in Sydney and Melbourne boutiques to view these rare diamonds and discuss how Cerrone can make their dream engagement ring into reality. A bespoke Cerrone engagement ring is created with you, from a sketch and selecting the perfect diamond through to the final ring. All rings are custom made and are manufactured in-house at our workshop in Sydney – Australia’s largest handmade jewellery atelier. “The Four C’s” is a term commonly used when discussing diamonds and it refers to the four most important attributes of a diamond – Carat Weight, Colour, Clarity and Cut. The international unit of weight measurement used for diamonds. A diamond’s absence of tint colour is graded on a scale from D (Colourless) to Z (Tinted colour). Colourless diamonds (D – F) will reflect more natural light colour and are considered more valuable. Diamonds can contain external or internal imperfections known as blemishes and inclusions. Clarity is evaluated on the degree of which these imperfections are visible. Diamond imperfections are often difficult to see with the naked eye, however significant imperfections may affect brilliance. 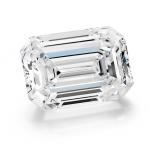 The cut grade is considered the most important factor of a diamond’s beauty and brilliance. 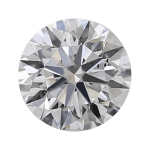 A diamond’s cut will affect how it handles light as it reflects and refracts to the eye. The diamond shape comes down to preference. Traditionally the round brilliant is the most sort after cut of diamond due to its and shape and number of facets. ALL RINGS ARE CUSTOM MADE AND MANUFACTURED IN HOUSE IN AUSTRALIA.